Unique historical country estate with over 72 hectares of private land and a variety of exclusive features; located just 45 minutes from Barcelona City. 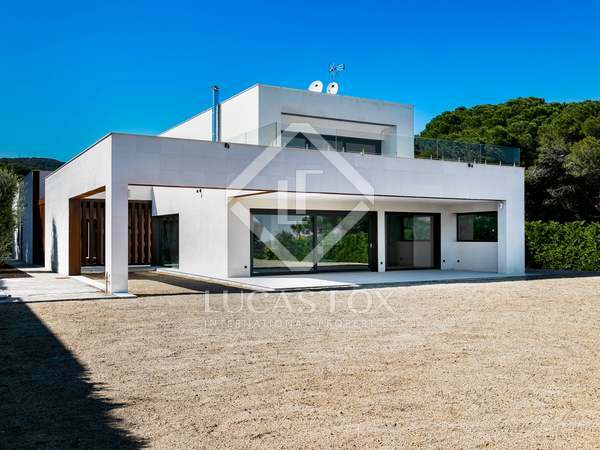 Cutting-edge archictecture and elegant minimalist design in this luxury property located in Supermaresme with stunning sea views. 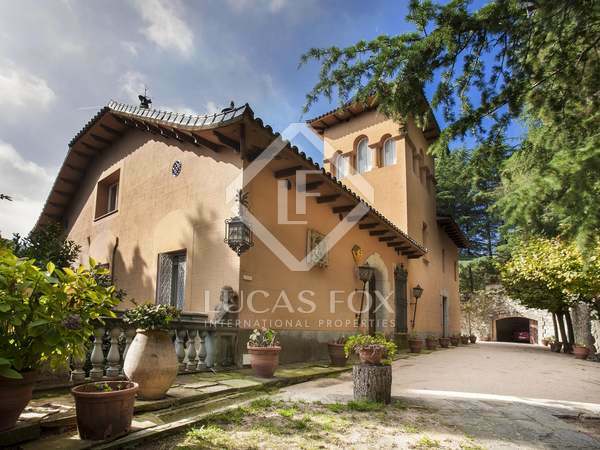 Spacious villa with excellent outdoor space, for sale in Can Teixido on the Maresme Coast. 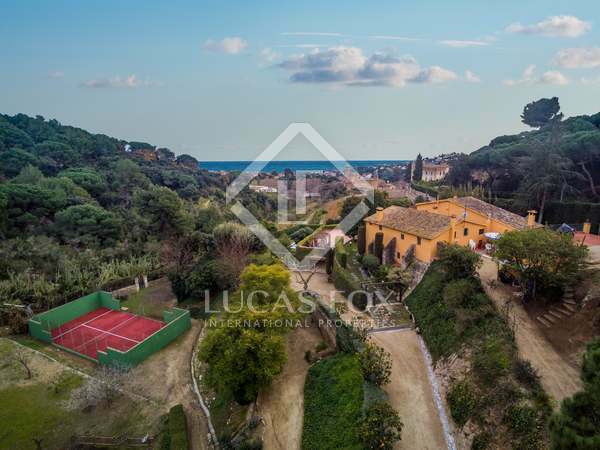 Stunning luxury property for sale in Arenys de Mar, near the charming promenade of Caldes d'Estrac on the Maresme Coast and with spectacular sea views. 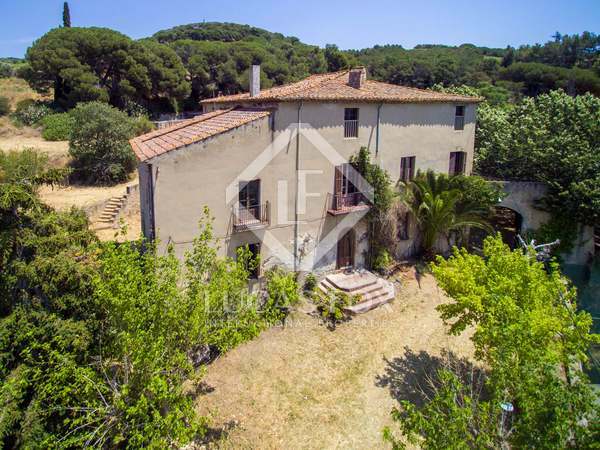 Family house with 5 bedrooms, idyllic views and a beautiful garden with an infinity pool for sale in Supermaresme. 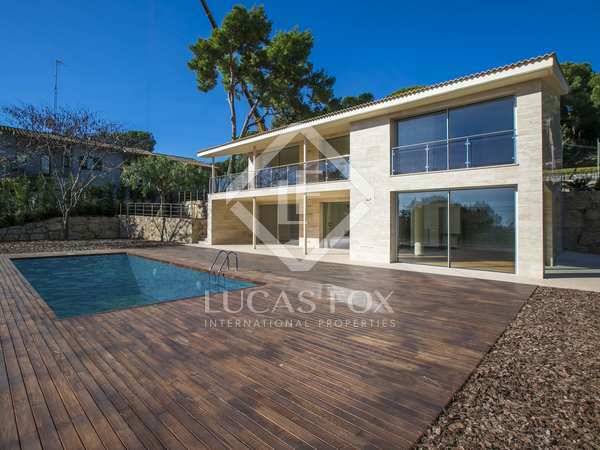 5-bedroom property with excellent quality finishes and design by a prestigious architect, with a garden and pool. Rare opportunity to acquire a large, historic estate with 11 bedrooms, gardens, pool, stables and sensational country views. Complete peace and tranquility just 45 minutes from Barcelona City. 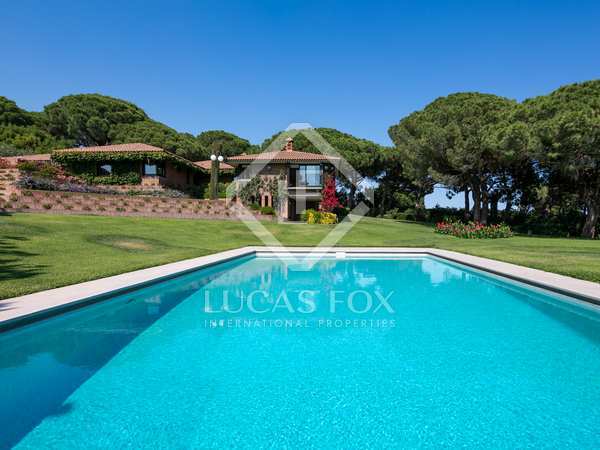 2 detached villas on a 8,134m² plot with wonderful sea and mountain views, a tennis court, swimming pool and beautiful gardens in Sant Andreu de Llavaneres. 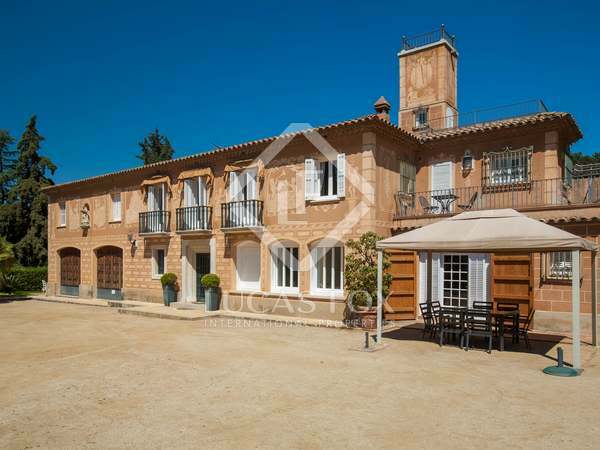 6-bedroom house for sale in Cabrera de Mar, 30 minutes from Barcelona. Spacious 6-bedroom villa with beautiful porch with archway and a very private garden with a pool. Located in Alella's best residential area. 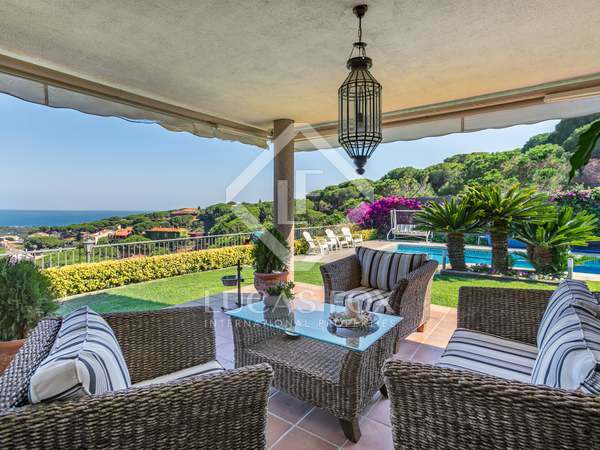 Newly built villa with stunning interiors and exceptional views for sale in Cabrera de Mar on the Maresme coast. 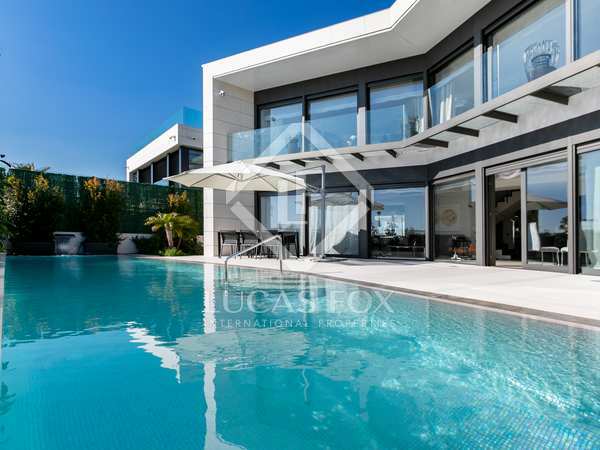 Magnificent new build 4-bedroom villa with excellent finishes, idyllic sea & mountain views, a garden and pool for sale in Sant Andreu de Llavaneres. Modern, renovated, single storey villa in excellent move-in condition with a well maintained garden with a pool in Sant Andreu de Llavaneres. 5-bedroom villa with sea and mountain views, garden and pool for sale in Sant Andreu de Llavaneres, 2 minutes from the town centre. 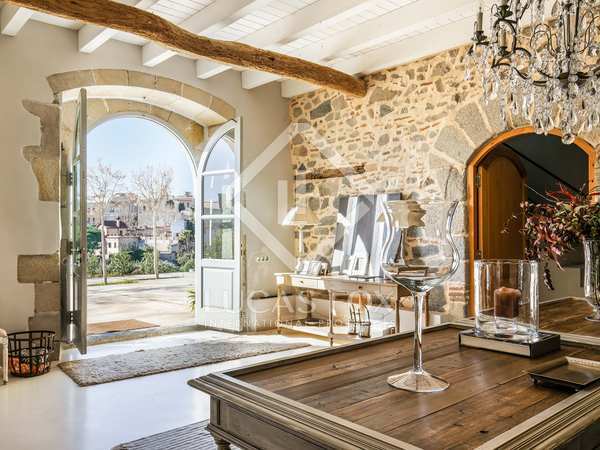 Comfortable 5-bedroom family home with lovely views, for sale close to the centre of Sant Andreu de Llavaneres.